171 pages. Monograph number 1. 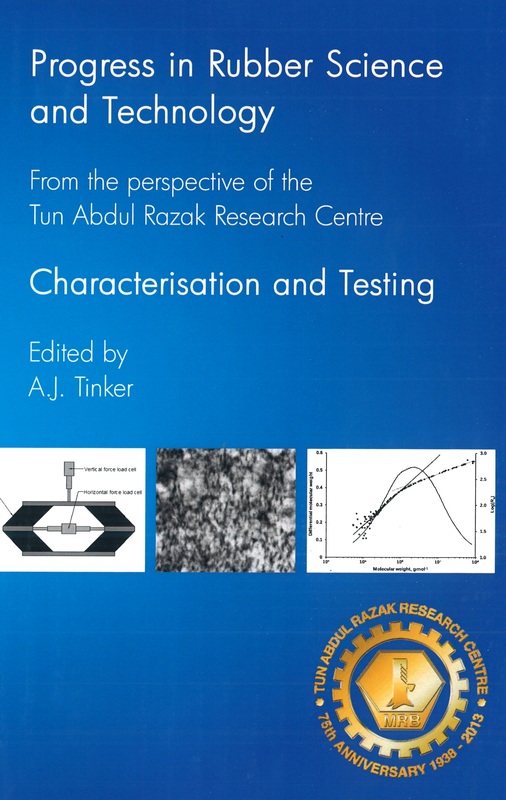 This publication is the first in a planned series of monographs relating developments in rubber science, technology, engineering and end use over the past three decades at the Tun Abdul Razak Research Centre (TARRC). It has been edited by Dr Andrew Tinker, TARRC’s former Director of Research who is highly respected within the global rubber industry. The first monograph covers characterisation and testing that can be considered to be in a spectrum running from analysis to product testing, with no sharp division between the two. The monograph reflects this, covering topics from characterisation of raw rubber through analysis and characterisation of vulcanisates to testing of engineering products. The contents present advances made at TARRC, including details not published previously, and underpin progress made in many aspects of rubber R&D over a 25 year period.